THANKS to everyone who sent emails, spoke, and came to the Board meeting tonight. It PAID OFF! 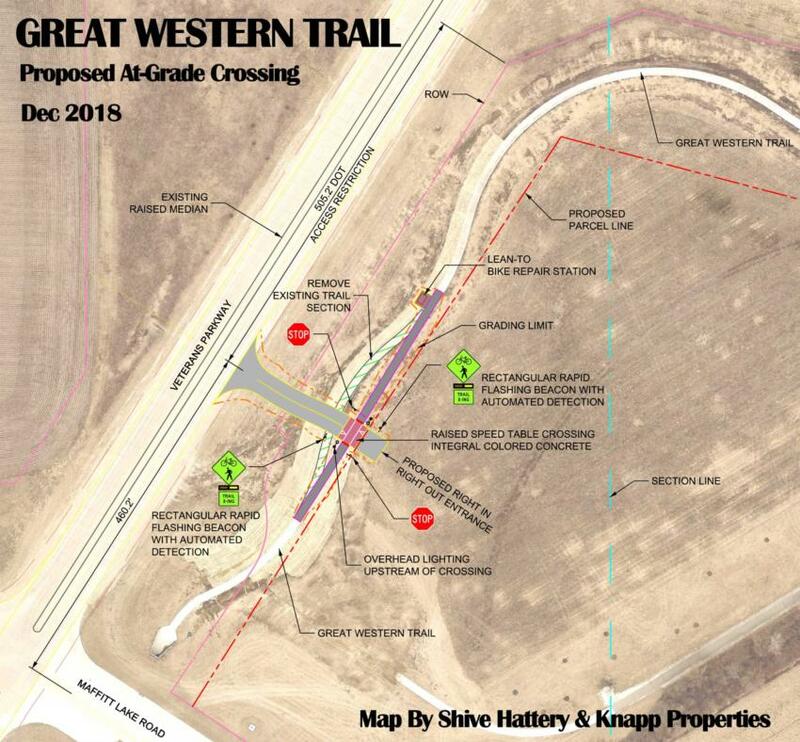 the Board voted 4 to 1 to NOT to approve the at-grade crossing on the Great Western Trail. THANKS to the Polk County Conservation Board and Staff for their due-diligence to preserve safety and integrity of the trail corridor. The Board will still work with Knapp Properties to try and figure out a way to gain access to this property other ways. Maybe a tunnel or bridge or some other way, but they held steady on no at-grade crossing. Knapp Properties is not our enemy. 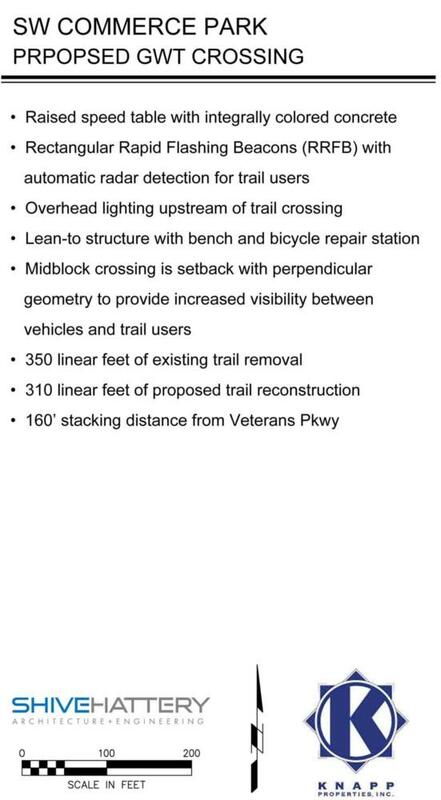 What they actually proposed would be the safest and most thought out at-grade crossing on the Great Western Trail and they've developed some nice biking amenities in past projects, but an at-grade crossing for private commercial development is not right for this trail. Tune into KCCI TV 8 at 10pm for coverage. Now is the time to send a THANK YOU email to the Polk County Conservation Board Members members who voted against the at-grade crossing! YOUR support is needed (Again) for the Great Western Trail. We don't reach out asking for support very often. We know there is strong support from trail users for the Great Western Trail. It is a special trail that lets us leave the hustle and bustle of the city. Unfortunately the metro (this portion is within West Des Moines corporate limits) is sprawling around the trail. We don't want the sprawl to cross the trail anymore than it already does. There is an agenda item on the next Polk County Conservation Board to add an at-grade crossing for Commerce Park North of the new Maffitt Lake Road tunnel along the Great Western Trail. Knapp Properties has requested an agenda for a new at-grade crossing for one of their developments. BIKEIOWA has concerns that the Polk County Conservation Board has some new members that may not understand the importance of the Great Western Trail. These new board members were not involved in 2015/2016 when there were several meetings to support the for the Great Western Trail when it was threatened by construction of Veteran's Parkway. We truly believe each one of the board members wants to act in the best interest of conservation and preservation SO, let’s make sure they know that there are alternatives and we support them to advocate for those alternatives. We don't want to see Conservation Board Members start to question "What's a the issue with just one at-grade crossing?" "What could it hurt?" Trail Safety is our concern too. There are other ways to enter this property versus crossing the trail. Polk County has been a leader in the Central Iowa Trail System for decades. Compromising the Great Western Trail would be a step backwards. Knapp Properties is taking the proposal directly to the conservation board without staff approval. The Polk County Conservation staff continues to oppose at-grade crossings—including this proposal that came off the table before the 2016 realignment. Knapp and Gerry Nugent seem to be trail supporters in general. Likely they are just going along with what their engineers drew up as the easiest most profitable access point. Once one at-grade crossing is approved for one developer, what stops the next at-grade crossing for the next developer? You want to see what at-grade crossings can do to a trail? Try riding the Raccoon River Trail (parallel to Hickman Road) through Waukee without white knuckles. It is dangerous and detracts from exactly what a recreational trail was created for. We don't know what kind(s) of businesses will be built in this development. We've heard everything from light industrial to a convenience store and gas station. 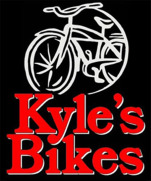 Think about the traffic counts for a convenience store and gas station at this location or any business for that matter. And.. businesses can change over the years. Contact each member of the Polk County Conservation Board and remind them of their mission Tell them why the trail and trail safety is important to you. The Polk County Conservation Board’s mission is to provide the citizens of Polk County with quality outdoor recreation, conservation education, and long term protection of Polk County’s natural heritage. It is important to convey the significance the integrity of the trail plays in conservation and recreation and to promote the possibility of alternative solutions. For example - An access off of Moffitt Lake Road that does not cross the trail would accomplish the same results without impacting the Great Western Trail experience. There is only ONE Great Western Trail. Once it is compromised there is no turning back. Here are some news and features we've posted over the past two years. We recommend going back and reading these to see what we've already been through to preserve the trail thus far.